After a few weeks without many injuries, Week 11 finished with multiple superstars on the shelf, including a few season-enders. With NFL teams and fantasy teams alike battling for playoff contention, paying attention to important injuries can make or break an entire season. With that said, here are this week's most important injury notes. After suffering a toe injury in Week 8, A.J. 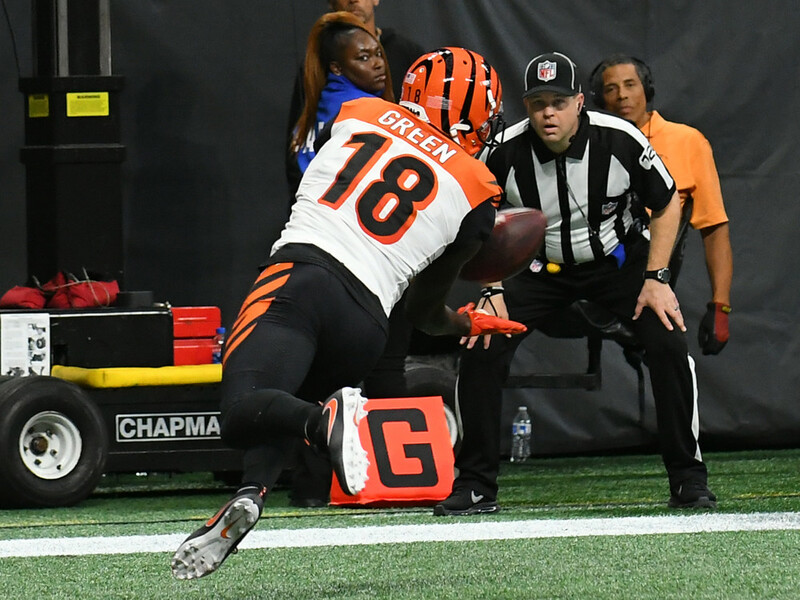 Green reportedly has a good shot to play in Week 12, according to Josina Anderson. Green met with a toe specialist prior to Week 11 and apparently received good news. Green also worked out prior to Sunday's game, indicating a return may be closer than initially expected. Practice participation will be telling this week, but Green should be considered legitimately questionable at this point. Dealing with a back injury for the better part of this season, Rob Gronkowski is finally expected to make his return, according to Adam Schefter. Gronk has missed the last two games, but had an extra week of rest through New England's bye. Gronk will likely remain limited in practice, but he should play, barring a setback. Breaking his thumb on Thurday Night Football, Jimmy Graham was initially expected to miss 4-6 weeks. However, head coach Mike McCarthy spoke to the media on Monday and revealed that Graham intends to play through the injury. Playing through a broken thumb will surely influence Graham's effectiveness on the field. For now, we would consider Graham questionable, with a game time decision likely. After appearing to suffer an elbow injury in Sunday's game, head coach Mike Vrabel later revealed Marcus Mariota's injury to be stinger. This looks like positive news for Mariota, after he missed time with a nerve issue in his elbow earlier this year. Vrabel also said he is hopeful his quarterback will be ready for Monday Night Football this week. While not out of the woods yet, Mariota should be considered probable for Week 12. Suffering a brutal leg injury in Sunday's loss, Alex Smith will miss the rest of the season with a broken leg. There is no timetable for Smith at the moment, but his availability for next season looks in question. Colt McCoy will take over as the Redskins' signal caller. Leaving Sunday's game with a knee sprain, Kerryon Johnson is week-to-week according to Adam Schefter. The Detroit Free Press also reported that Johnson looks unlikely to play on Thanksgiving on the short week. Knee sprains typically take a few weeks to heal, making Johnson questionable for Week 13 as well. After a promising start to the game, Doug Martin curiously did not play in the second half of Oakland's game. John Gruden revealed after the game that Martin had an ankle issue and his absence was precautionary. He mentioned in the same interview that he thought Martin would be okay. This shed little light on the situation, but Martin's practice participation should be monitored this week. For now, he should be considered likely to play. On the Buccaneers' final drive of the game, O.J. Howard landed both an ankle and a foot injury, forcing him from the game. After initial positive reports, the Buccaneers placed O.J. Howard on injured reserve, ending his season prematurely for the second-straight year. Howard should be ready for training camp next season. Battling a bum hip, Joe Flacco looks doubtful for Week 12. Coach John Harbaugh conceded that it would be tough for Flacco to return this week. If Flacco can't go, the Ravens will trot out Lamar Jackson again. Under Jackson, the Ravens morphed from one of the pass heaviest teams to one of the run heaviest. Flacco remains week-to-week. Dealing with a bone bruise in his knee, Marvin Jones missed Week 11 against the Panthers. Unable to practice last week and at the start of this week, Jones looks doubtful to face the Bears on Thanksgiving. At this point he remains week-to-week.